President of the Dangote Group, Alhaji Aliko Dangote, has said he would sack Arsene Wenger if he succeeds in acquiring Arsenal Football Club. Dangote, who made the assertion while featuring on an interview with Bloomberg, said his desire to own the club dates back to the mid-1980s. The richest man in Africa noted that he would consider making an offer once the construction of his $11 billion oil refinery in Lagos is completed. An American billionaire, Stan Kroenke, is Arsenal’s biggest shareholder, controlling 67 percent of the company. 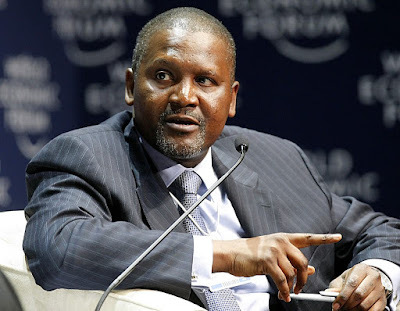 But, Dangote expressed optimism of persuading Kroenke and Usmanov to sell their shares to him. He said,“The first thing I would change is the coach. He has done a good job, but someone else should also try his luck. Wenger, who was appointed in 1996 has remained the Manager of the club, wining three Premier League titles and seven FA Cup trophies.